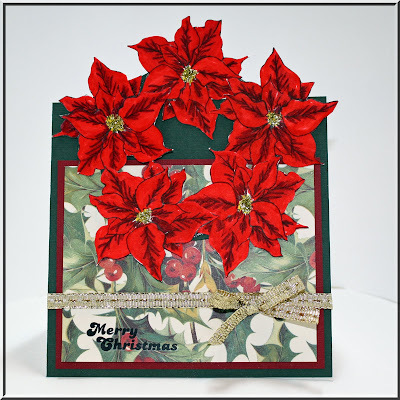 I stamped the poinsettia from A Year of Flowers set by GinaK Designs and colored them with Marvy Markers. I cut them out and layered them on a circle that I cut with my Nestabilities. I actually cut a ring with the Nesties by cutting a circle and then the next smaller one within it. Oh so pretty, love your flowers! !